Philippe Starck and Emeco came together to create a new chair that is reclaimed, repurposed, recyclable - and designed to last. The chair is made from 75% waste polypropylene and 15% reclaimed wood fiber that would normally be swept into the trash, "Imagine", says Philippe Starck, "a guy who takes a humble broom and starts to clean the workshop and with this dust he makes new magic." 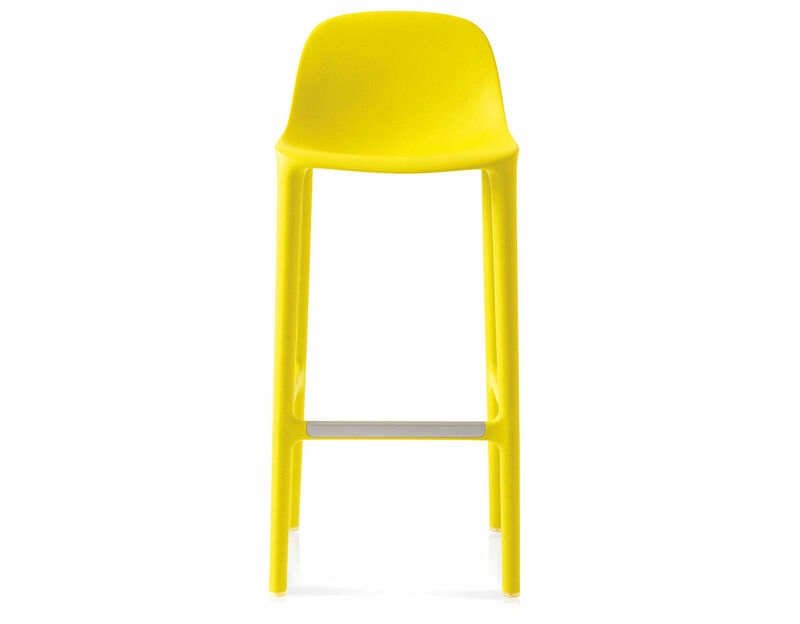 That's why we call it Broom chair. 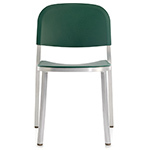 250 million tons of consumer waste & 7.6 billion tons of industrial waste are generated annually in America alone. 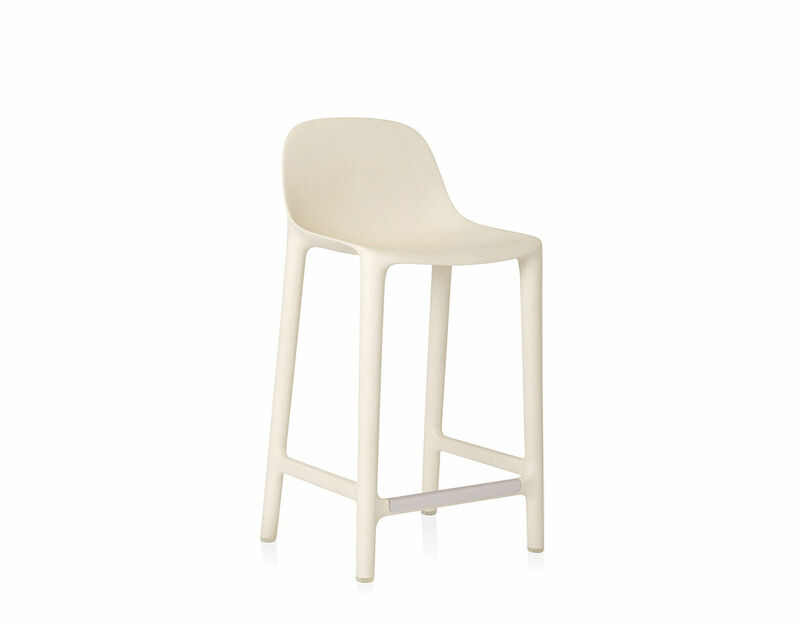 Made of 75% reclaimed polypropylene, 15% reclaimed wood fiber, 10% glass fiber & pigment. Broom is offered in your choice of colors in either a counter or bar height. 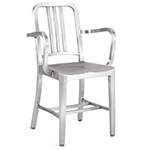 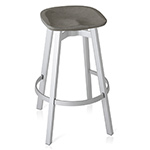 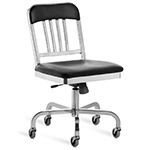 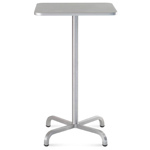 counter stool: 16.8" w | 16.25" d | 33.25" h | seat: 24" h | 11 lbs. 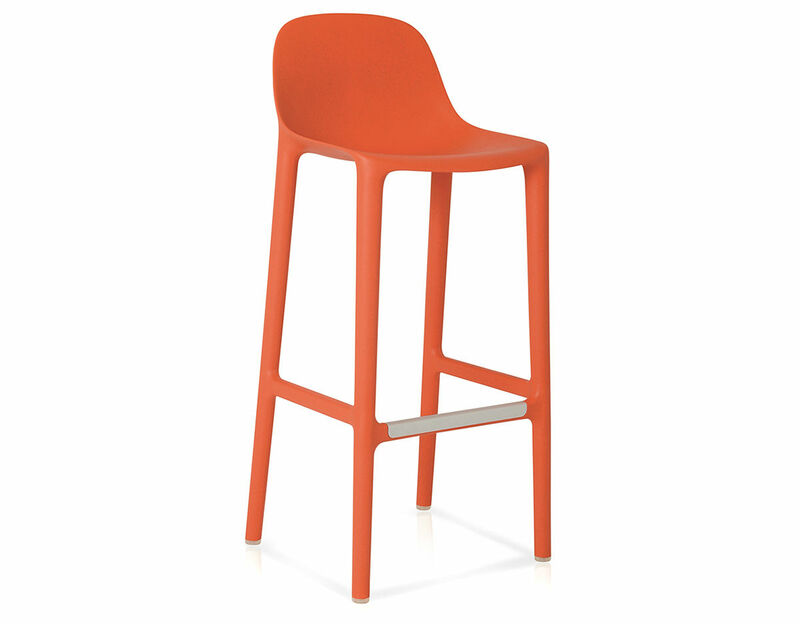 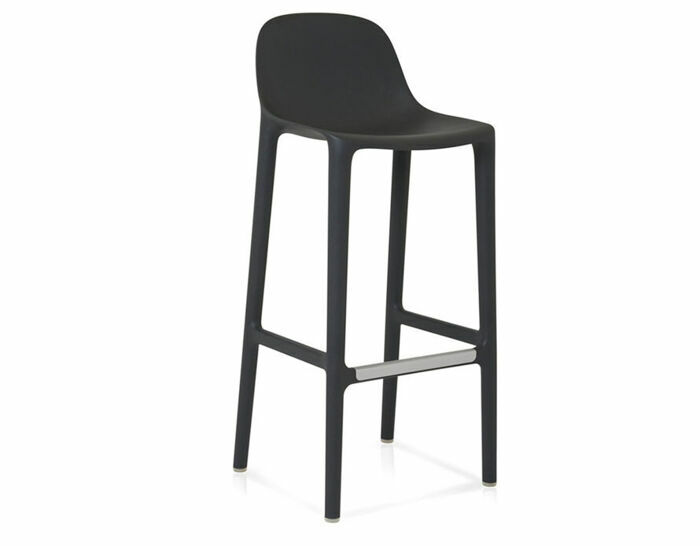 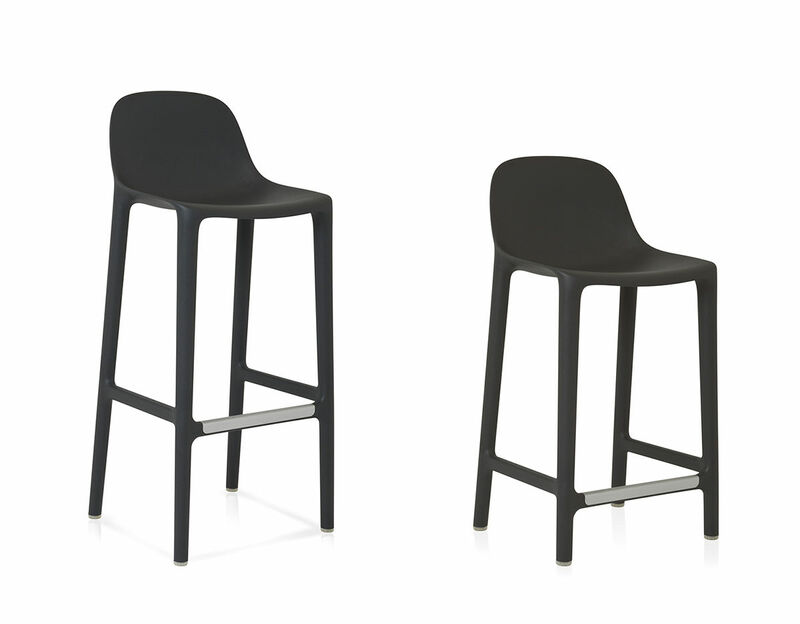 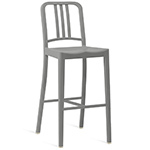 barstool: 17.25" w | 16.75" d | 39.25" h | seat: 30" h | 12 lbs.